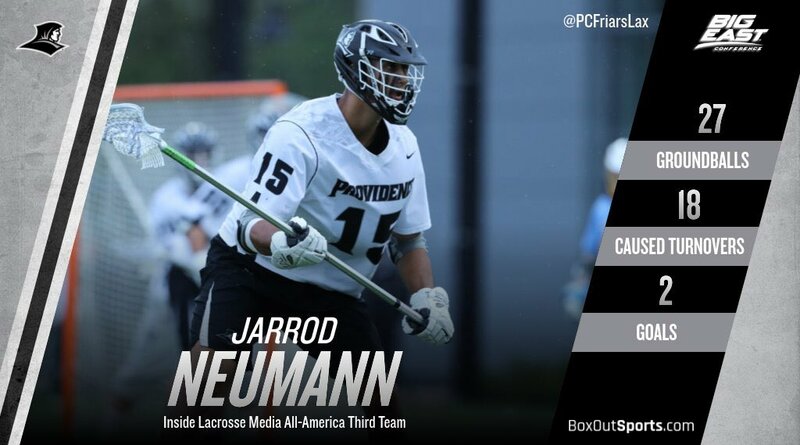 Inside Lacrosse released their first ever selections for their Media All-American Teams for this NCAA season and the Providence Lacrosse team was able to receive some recognition for their stellar season this year, with two members of their team being represented. First up, being selected as a Third Team All-American was Senior Defensemen Jarrod Neumann. Neumann, the Big East Defensive Player of the Year, was integral to the Friars success this season, helping lead them to their first ever appearance in the Big East Championship game. The team was anchored by their defense and Neumann was a huge part of that success, recording 27 groundballs and causing 18 turnovers during the season. Neumann, the Northampton High School (MA.) graduate, also earned First-Team Big East honors and All-Tournament Honors for the Big East Tournament this year. 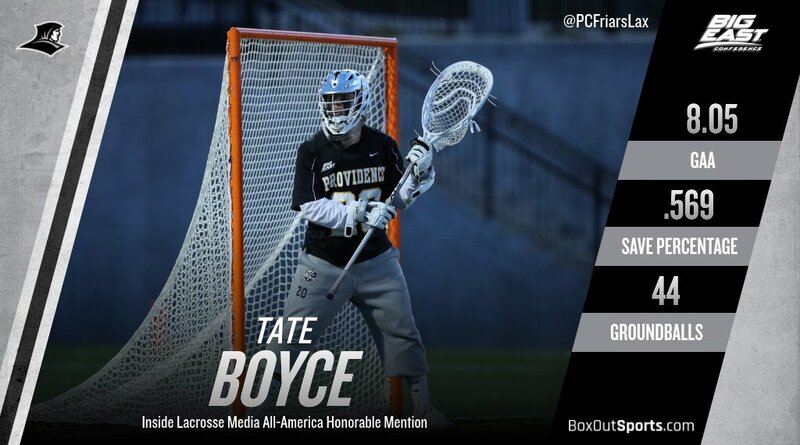 Sophomore Goaltender Tate Boyce, along with Neumann, comprised the backbone of the Friar defense. Boyce was named as an Honorable Mention All-American and looks primed to edge his way onto one of the 3 teams come next season. The loss of Neumann will obviously hurt the defense, but Boyce sported a .569 save percentage and a 8.05 goals against average, both ranking 6th in the Nation. Boyce was named Big East Goaltender of the Year, First Team All-Big East, and to the All-Big East Tournament Team. 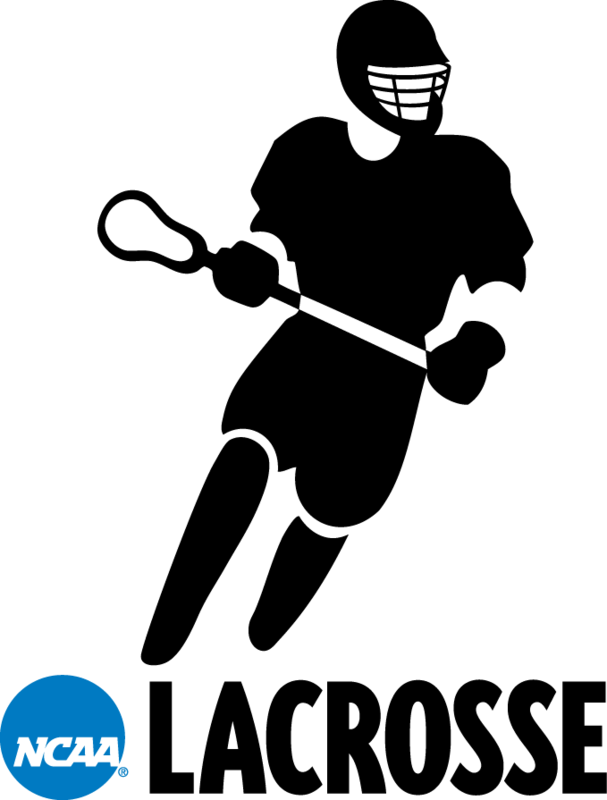 The only Big East players named to the First or Second All-American Team were from Denver in Trevor Baptiste (1st) but Villanova Wildcat midfielders Jake Froccaro and Jack Curran were both named to the Third Team, along with Denver’s Connor Cannizzaro. Neumann, Boyce, Froccaro, and Curran made up 4 of the 7 players from the Big East Conference to be recognized by Inside Lacrosse for their play this season with Denver Defender Christian Burgdorf also receiving honorable mention honors.